Pepe (formerly Timmy), is doing absolutely awesome. He fits in well in his new home and is such a people person. He currently is under the care of VCA in Everett and is due to for his last shot on Monday. He does great in the house and does not need a cage at all. Housed trained, well behaved and enjoys the views out the window. 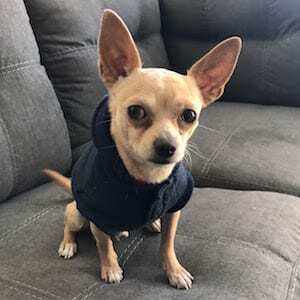 Pepe is in great care and I’m thinking about getting him a friend very very shortly. Thank you for a great easy experience with adoption. Glad I did! « Previous Post: Stella loves everyone she meets- even Santa!